On February 15, 2018, the Center for Partnership Studies (CPS, California) awarded its first prize honoring scholars who distinguish themselves in the dissemination of partnership studies in different fields of academic study and research. The inaugural prize was awarded to Antonella Riem, Professor of English literature and founder of the Partnership Studies Group at the University of Udine, Italy, in acknowledgement of her international scholarly work on partnership studies. 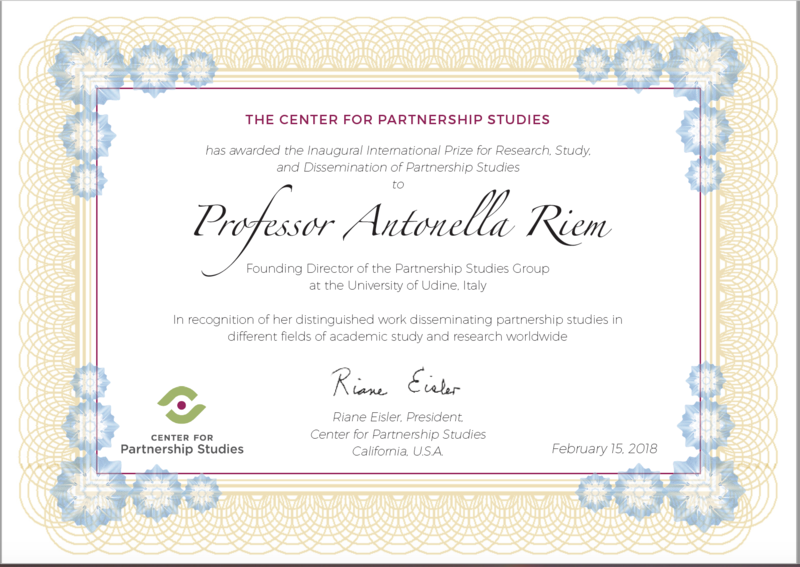 The Center launched this international prize in 2018 to recognize the work of scholars worldwide who dedicate their critical research and teaching to disseminate and nurture partnership studies worldwide, thus contributing to the shaping of a better and more caring and humane future. 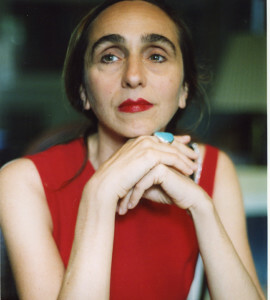 After founding in 1998 the Partnership Studies Group (PSG), an international scholarly network based at the University of Udine, Professor Riem contributed to the publication in Italian of many texts by Riane Eisler published by the Udine University Press Forum All Series and to the dissemination of partnership studies at all levels of academic and educational fields worldwide. In particular, this CPS award focused on Riem’s latest book, A Gesture of Reconciliation. Partnership Studies in Australian Literature (2017). 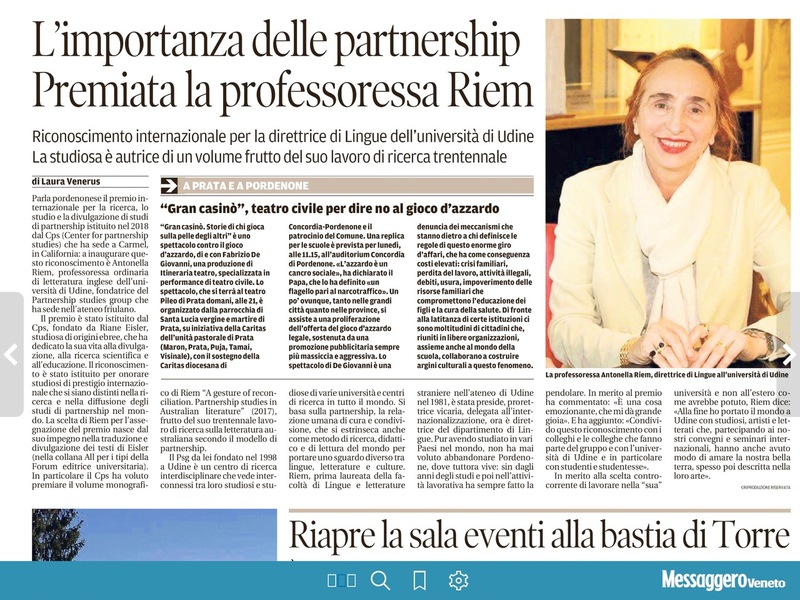 This book is the fruit of Riem’s thirty-year study of Australian literature based on Riane Eisler’s partnership model, which the Partnership Studies Group applies to the study of world literatures in English, languages and education. The prize will be awarded periodically to outstanding scholars contributing to the dissemination of the partnership model in academia.